There are no messages on Crabbe&Goyle's profile yet. 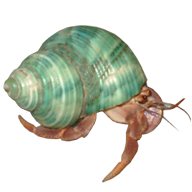 Had hermit crabs growing up. Just bought 2.